If you enjoy atmospheric space rock and your musical tastes run from Vangelis' Blade Runner soundtrack to Pink Floyd to "Babylon 5" soundtracks, then you need to acquaint yourself with the music of Bjorn Lynne. 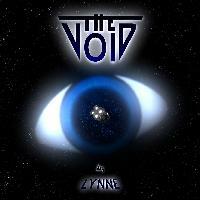 "The Void" is the 5th solo effort from Lynne, a Norwegian artist who currently resides in England. His work is rooted in progressive rock and he uses electric guitar and synthesized melodies to create what he prefers to call "adventure music." Indeed, the ten instrumental tracks on "The Void" are just the sort of thing to pop into your CD player when you're curling up with your favorite space opera or SF adventure tale. Since the release of the "Void", Lynne has produced the much-acclaimed CD "Wizard of the Winds" (aka "when the Gods Slept" in the UK). This CD is inspired by and intended to accompany Allan Cole's fantasy epic of the same name.